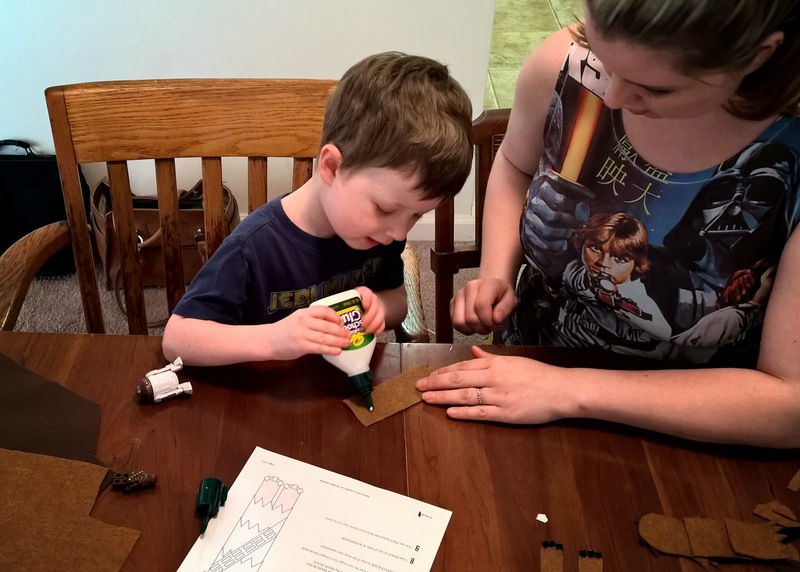 For Star Wars Day yesterday we did some crafts, wore some inspired outfits and played with some vintage Star Wars Legos. Every day in my household involves some sort of Lego activity. 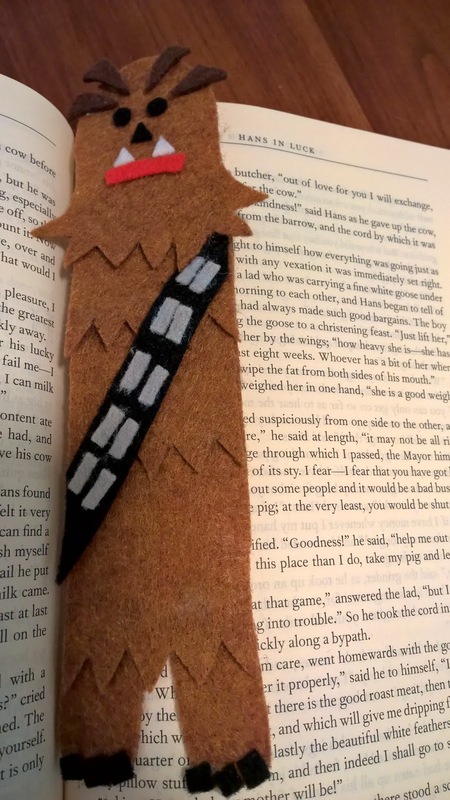 For our craft we made a Chewbacca bookmark! I found the template here a few days ago and we went out and got the supplies in preparation. 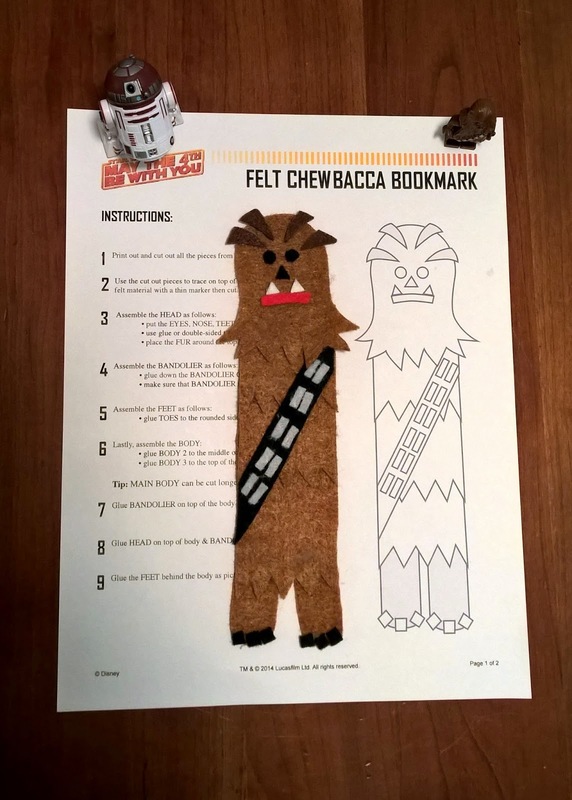 To start, you need 6 pages of felt and glue. You will need light brown, dark brown, black, white, grey, and red. 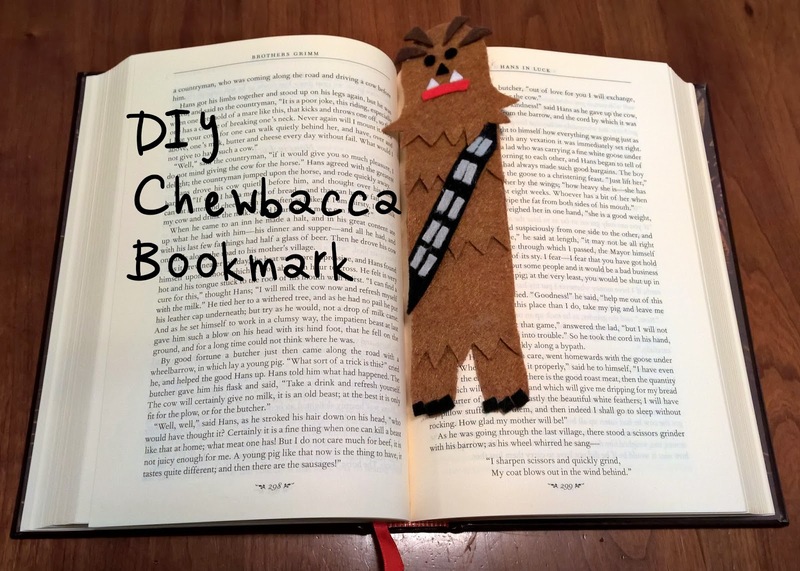 I got an extra sheet of light brown so we can make another bookmark another day. Next, you cut out the paper template so you can outline the shapes onto the felt. The instructions on the exact order to place them are included in the print out. For months I've been using an old car dealership business card and a piece of cardboard that I ripped off of a candy box so I'm so glad to have an actual bookmark. It just makes it that much sweeter that it's something that was handmade with my son's help. How did you celebrate Star Wars Day?